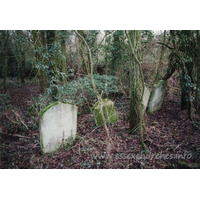 Many thanks to Andy Barham for the images on this page. 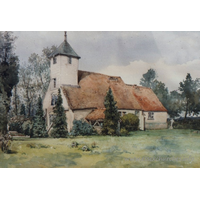 The majority of the detail is taken from his book 'Lost Parish Churches of Essex' which can now be purchased on the Amazon Kindle store. 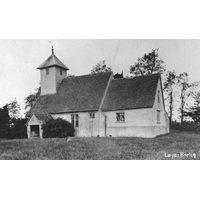 The church was built in the Norman period, and consisted of a nave, chancel and bell turret. It was situated further south than the current church, being opposite Layer Breton Hall, and measured approximately 46 feet by 25 feet. 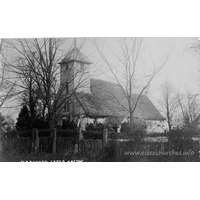 By 1633 the church steeple was in disrepair. 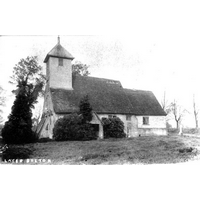 In 1829, Reverend Sutton began a major restoration of the church. On 22 April 1884, the Great Earthquake struck, which probably caused damage to the foundations. After further deterioration, it was finally demolished in 1915.